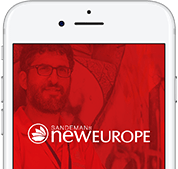 On this 6-hour tour from Munich, your expert guide will take you on a two-hour train journey through the stunning Bavarian countryside to the charming city of Salzburg, a UNESCO World Heritage Site. We'll take you on an orientation walking tour of the old town center, taking in some of the most beautiful and historic sites the city has to offer. Your full-day trip to Salzburg, Austria, leaves from Munich Hauptbahnof (main train station), outside the Starbucks on platform 11, and returns to München Hauptbahnhof around 7pm. If you don’t have time on your European trip to visit Austria, don’t fret! 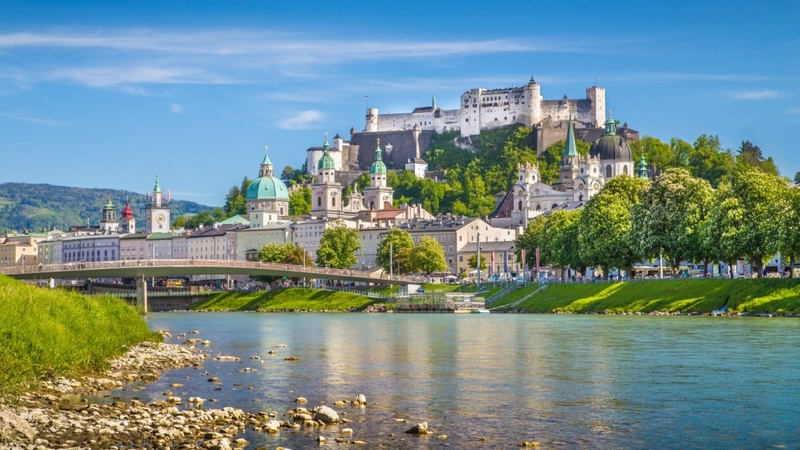 You can see one of Austria’s most beautiful cities, Salzburg, all on an easy day trip from Munich. You’ll jump on the train for a two-hour scenic journey through the Bavarian countryside, returning to Munich at approximately 7pm. You’ll want to keep your camera at the ready, as you stroll along the picturesque Salzach River, and enjoy the views of the stunning alps. 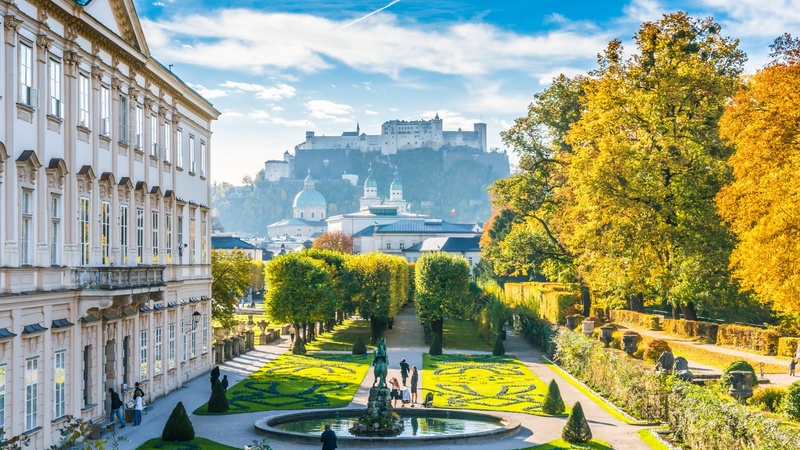 For Sound of Music fans, you’ll visit the Mirabell Palace Gardens, home to some of the musical’s most famous scenes, as well as seeing the impressive Salzburg Cathedral, where Salzburg native Mozart was baptized. 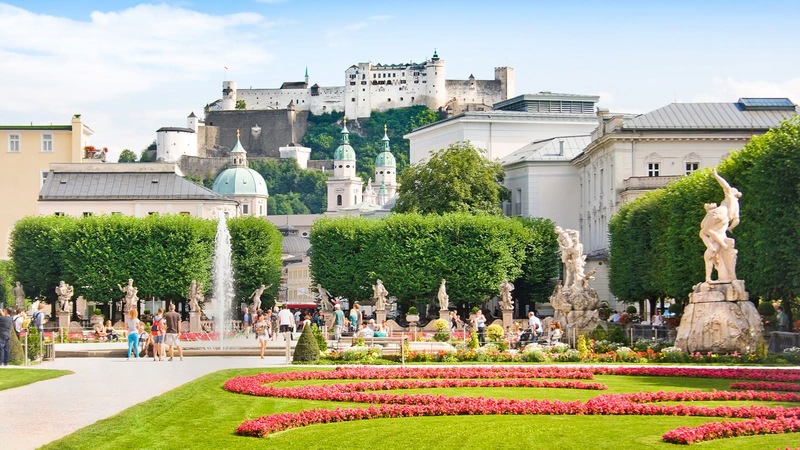 Upon arriving in Salzburg, your guide will lead you on a 2.5-hour orientation tour, helping you to find some of the major landmarks of the old town center, including the 13th Century Old Market, and the church and cemetery of St Peter’s monastery. After that, you’ll get a few hours to yourself to explore Salzburg at your own pace. 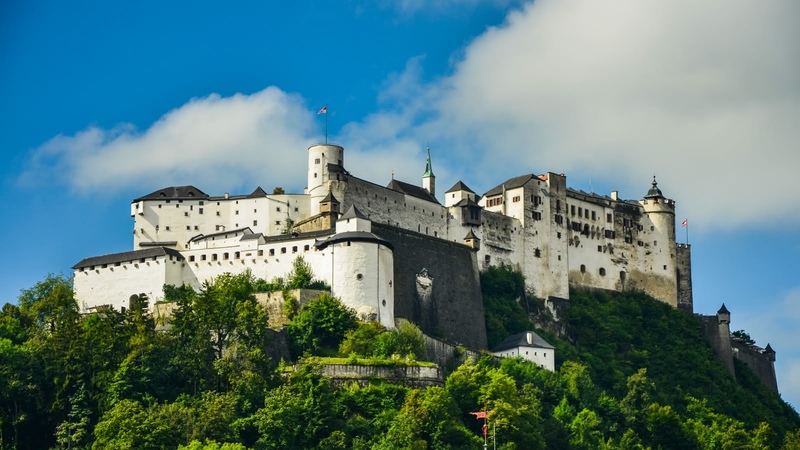 Take in the Hohensalzburg Fortress, or taste a delicious authentic Sachertorte (chocolate cake). 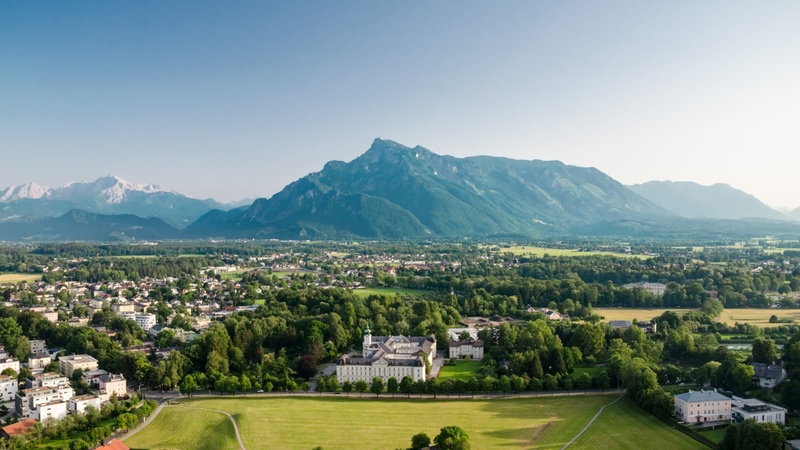 What you choose to do in Salzburg is up to you! We had a wonderful day-long trip to Salzburg. Veronika was our tour guide and she was wonderful. She not only knew her stuff, she was a great storyteller. We got a great introduction to the city, with enough time to explore on our own (we could have stayed much longer, but we only had a day for this trip). Veronika also made sure to meet with each of us on the train ride back to Munich to give tips and direct us to where we should go next. She made a wonderful trip even better. We highly recommend this trip and Veronika! Go to Salzburg with Ali! Salzburg was good, but our tour guide Ali was great despite the bad weather (50F and pouring rain the whole day). I highly recommend both! Note that you don't get free time to explore until ~2:15pm (and you need to get a late lunch during this time), you need to rejoin the group at 4:30pm, and you'll arrive back in Munich at ~7:15pm. Also make sure to bring your passport (two guests missed the train because they had to go back to get their passports, so they took a later train at their own expense). We booked this tour on a whim because the tour we originally wanted to do (Neuschwanstein Castle) was full and we were so glad we did! We had Georgio as our guide and he provided us with the history we needed to fully appreciate Salzburg, as well as he made the travel to and from very easy. Salzburg is an absolutely beautiful city and has no shortage of things to see and do. It ended up being one of my favourite places we saw during our 2 weeks in Europe! My daughter and I booked the Salzburg by Train Tour from Munich and were really pleased with our trip. Ali from Italy was our guide. You couldn’t ask for a more friendly, knowledgeable, helpful, energetic and approachable guide. If you are lucky enough to get Ali as your guide you won’t be disappointed. The train ride from Munich to Salzburg and back was pleasant and comfortable. Salzburg is absolutely beautiful! We will definitely return to this lovely city again! We took a Sandeman tour from Munich to Salzburg with Veronika today. She was friendly, charming and very well organized. Her knowledge of Bavaria and Austria was great and we appreciated her stories of the history and culture. We enjoyed her tour of the city and her suggestions for shopping and dining. She was attentive and happy to share her experiences of life in Bavaria and Austria. We recommend this tour, it's good value and informative. Thank you Veronika for a great experience.